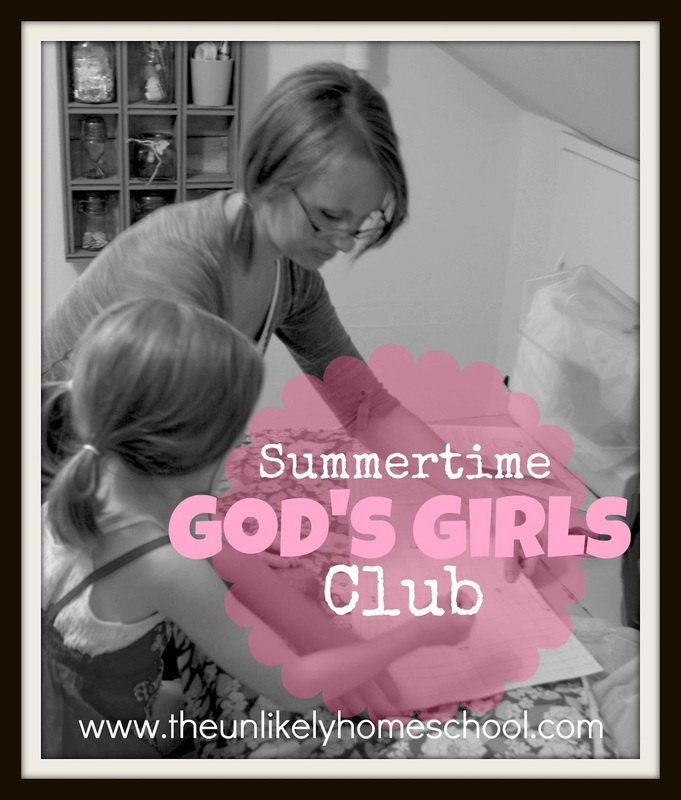 For the past three years, I have hosted a Titus 2-style girls club for my daughter. We have invited a handful of other moms and their daughters to join us in a summer-long journey to learn who we ARE in God's eyes and who we ARE BECOMING as Proverbs 31 women. I know that apart from developing a love for God and a love for others within my daughter, my PRIMARY job as a mother is to work my way out of a job. Knowing that Sweetie Pea is now nearly half-way through her time as a young lady within my home, I have resolved to provide intentional training time to ensure she will be...to the best of my ability...prepared to be a keeper of the home. I recognize that she may or may not be a wife someday. And, she may or may not become a mother. But, regardless of marital or motherly status, she WILL have a home and will need to learn how to KEEP it. According to Titus 2:3-5, I, as an "older woman", am commanded to pass along a Godly heritage of being "busy at home" to the "younger" women. I count it a privilege to share "what is good" with my very own daughter. My goal for this summer-long club is to put forth INTENTIONAL focus on both the spiritual and the practical aspects exemplified in the Proverbs 31 passage. To assist me with the "spiritual" of my two-part goal, I choose a book to act as a companion guide to our discussion. This year, I purchased Lady in Waiting for Little Girls: Strengthening the Heart of Your Princess by Jackie and Dede Kendall. The book is broken down into 10 character qualities of a Godly young lady. A short story, example verses, a few suggested crafts, and a short prayer complete each chapter. Although I use the book as a resource, I often deviate from the recommended stories and activities to provide a more personal application. In previous years, Sweetie Pea and I have had the opportunity to invite a few non-homeschooled friends to join in our summer fun. This year, we were excited to welcome all our girl friends from our homeschool co-op. Most of these young ladies are the only girls in households of many boys. So our bi-weekly meetings provide a brief opportunity to dress in our prettiest and enjoy the frills of ALL THINGS PINK. Although each meeting will look slightly different, they will each have the following basic elements: a character theme, an example of that character from a woman in the Bible, a tea party type snack, a short lesson on a particular table manner or hospitality skill, and a small handcraft. A couple weeks ago, we gathered for our very first meeting of the season. We learned that just as a young lady desires to smell pretty to others, she should seek to smell pretty to God. 2 Corinthians 2:15 tells us that our aroma comes from our Christ-likeness...our obedience. God has given us a training ground for obedience to Him. It comes in the form of obedience to our earthly authorities, our parents. The girls were challenged to seek opportunities throughout the coming week to be obedient to their moms and dads. Even though she was obviously frightened, when called upon to become the mother of the Son of God, Mary obeyed. The drinking glass is always placed in the upper right corner of the table setting. When passing a drink pitcher to someone, always pass it with the handle away from you. When passing a bowl/plate of food, always pass with the serving spoon pointing away from you and towards the other person. Never begin eating unless the entire table has been served, the hostess is seated, and she begins to eat. I explained to the girls that God gave them each a Godly example of a Proverbs 31 woman in the person of their very own mother. By seeking the counsel and accountability of her mom, one of God's girls has a better chance of choosing "what is good." A Mommy and Me Journal can be a great way of keeping those communication lines open. Since Sweetie Pea and I already have a journal, she decorated one for her own personal journaling efforts. Using Modge Podge, cover the front side of a composition notebook with a piece of scrapbook paper. Cut another piece of coordinating paper that is three inches wider than the first. Modge Podge this to the back of the notebook. Wrap the additional three inches of paper around to the front. Affix a sticker or decorative element in the lower right-hand corner of the front. Oh my goodness, I love love love this idea! I wish there were enough ladies in my area who would be interested. Now you've got me thinking...LOL. As I process this in my brain, would you be willing to answer any questions I may have along the way? I'll do my best! Not an expert. Just a momma who wants to do her best at training my favorite little shadow before she grows up. I LOVE this! I'm thinking of doing something similar with my boys. "How not to be a bone head" or something like that, LOL! Love this idea. We will begin "real" homeschooling this fall. Hopefully we will meet other like minded moms in the homeschool group that would be interested in doing this. I see a book in your future! I hope you will meet some great families too. 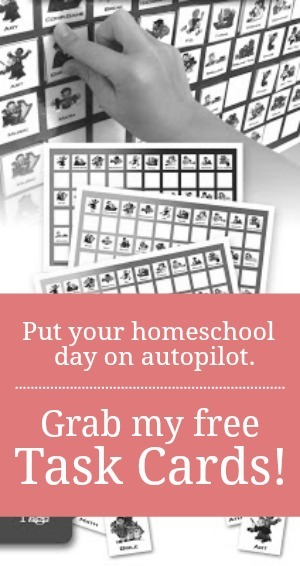 They are a key ingredient for a successful homeschool. Sounds like so much fun. How old are the girls that you usually do this with? Thanks for sharing. Hope to see you at True Aim. Currently, they range in age from 5-8. But, we have done it with older and younger girls. 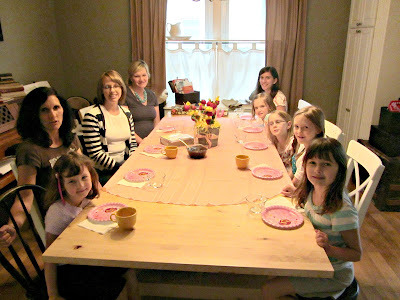 My daughter's age has always been the benchmark for me to invite other girls and their moms. I also love this idea. I would even like to say that I'd like to do something very similar. What an awesome thing to do for your daughter. I love it. I would love to have some sisters in Germany join us! The more the merrier! How creative. I have thought about offering something like this for the 4th grade girls that I teach during the school year. I thought about doing this in the summer or for a 6 week session in the evening at my house during the school year. Good luck in you endeaver. You are such a blessing to the Lord and to your daughter. I love this idea! This is so cool. I am definitely pinning and going to consider it for the girls at my church when Peanut gets a little older. Thanks for linking up to Titus 2 Tuesday. Hope to see you again this week. What a neat idea. Thank you. What a great idea! This is really cool! I see that this is something you do during the summer and you also have younger ones too. When you have this little get together what do you do with the younger ones? My husband cares for them. Sometimes he takes them to run errands with him. Other times, he just goes with them down to our basement (their room) and plays. Our meetings are usually only an hour. What a fabulous idea, I would love to do this with my little girl some day! It was fun! I'm looking forward to many more summers with my girl. I have a 9 year old...would that "lady in waiting" book be appropriate for that age group? Do you have a PDF for what you did for the whole class?? No. Sorry, I do not.